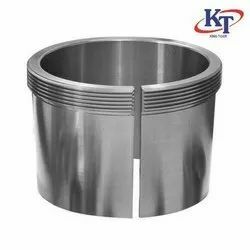 Providing you the best range of ah 2311 sleeve, withdrawal sleeve, ms bearing and hydraulic withdrawal sleeve with effective & timely delivery. Withdrawal sleeves product codes start with AH or AHX. The X refers to a DIN revision index, which has now become standard. The product codes for withdrawal sleeves with oil grooves and oil ducts use the letters AOH or AOHX. Withdrawal sleeves whose product codes contain AOH or AOHX always have oil ducts in the bore and on the taper. Sleeves with the code numbers 240.. and 241.. have a 1:30 taper, all the others have a 1:12. With the assistance of our vast experience, we are extremely proficient in offering a superlative quality of Withdrawal Sleeve that is offered in varied specifications as per the needs of our customers. 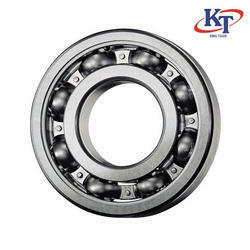 Considering our knowledge and proficiency in this domain, we are noted as a valuable name of MS Bearing. The finest grade material and sophisticated technologies are used in manufacturing these bearing composites in a variety of sizes, shapes, thicknesses, and dimensions to cater the industrial requirements of our wide and respected client base.